The third edition of ‘Nostos – Return to the Roots’ forum is under way and its host had the chance to talk about it with the President of the Hellenic Republic. The forum, an opportunity for the Diaspora of Greek, Cyprus and Egypt to strengthen their ties and seek joint strategies to facilitate cooperation, business opportunities and cultural exchange, is scheduled to take place in Melbourne on the weekend of 25-26 March 2019, at the Greek Centre. 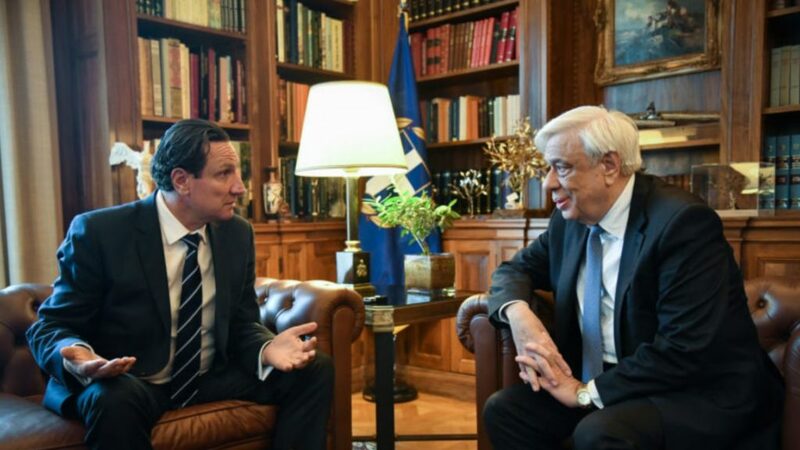 The President of the Greek Orthodox Community of Melbourne and Victoria (GCOMV), Bill Papastergiadis met with Prokopis Pavlopoulos, during his visit to Athens and gave the Greek President a brief on the work regarding the forum, but also on all other actions undertaken by the GOCMV to promote Greek culture and language in Melbourne. Mr Papastergiadis was also invited to the Hellenic Parliament, to attend the award ceremony for the students of the Diaspora who won the short story competition, initiated by the Secratariat of Hellenes Abroad. One of the students presented with an award was Ariadne Politi, from Melbourne.